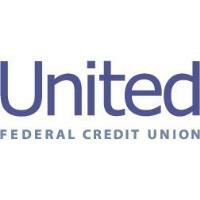 ST. JOSEPH, Mich. – United Federal Credit Union (United) is pleased to announce the promotion of Dan Card to Vice President of Information Security. Previously, Card served as United’s Director of Information Technology. In his new role, Card will be responsible for the implementation and oversight of United’s security portfolio and all related security programs. Card will additionally be tasked with helping achieve security-related business goals and maintaining compliance with applicable laws, statutes, and regulatory requirements. A native of Kalamazoo, Michigan, Card earned an Associate of Applied Science degree in Computer and Network Technology from Davenport University, in Midland, Michigan, and a bachelor’s degree in Business Administration from Baker College of Business and Corporate Services, in Jackson, Michigan. Card has been with United for six years and is a 14-year professional in Information Security. In addition to numerous IT certifications, Card is a Certified Information Systems Security Professional (CISSP), Certified Information Security Manager (CISM), Project Management Professional (PMP), and ITIL foundations certified. United Federal Credit Union has served its Members since 1949 by helping them to build a sound financial future. United consists of more than 174,000 Member/owners worldwide and manages assets in excess of $2.8 billion. Its corporate offices and main branch are in St. Joseph, Mich., with additional branches in Arkansas, Indiana, Michigan, Nevada, North Carolina, and Ohio. Federally insured by NCUA. Equal opportunity lender. Equal housing lender. For more information visit www.unitedfcu.com.